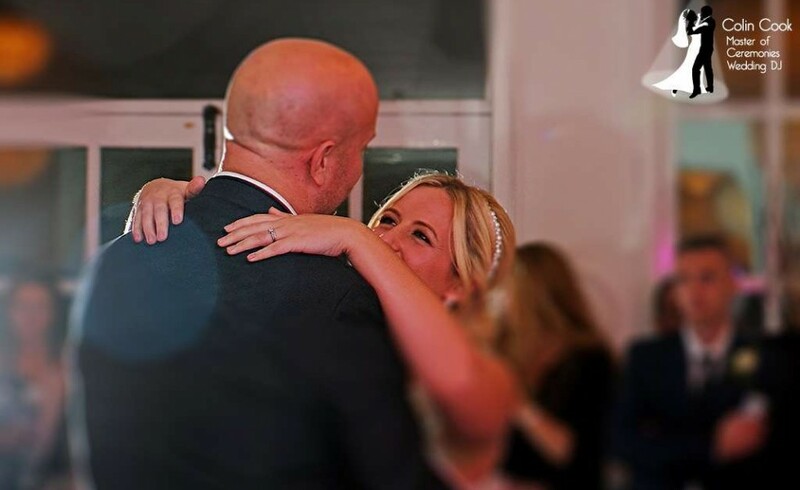 In addition to the evocative moodlighting I can provide many other enhancements to help make your Wedding Day completely unique. 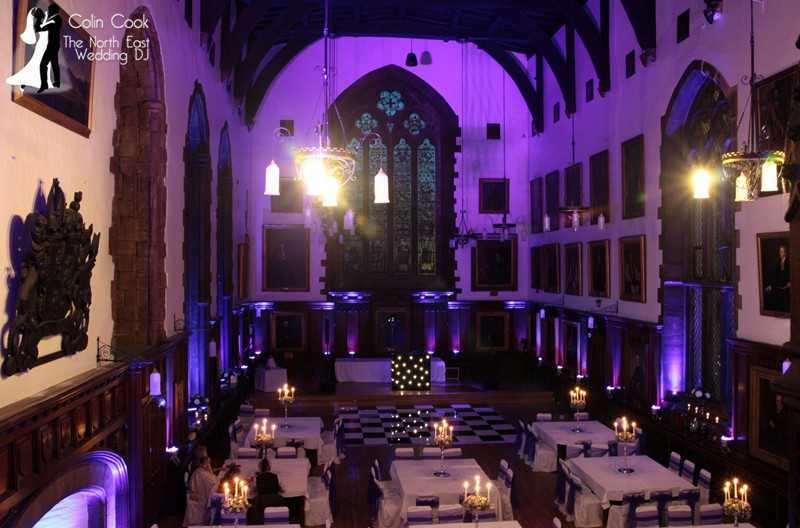 Our magnificent 6mX3m (20ftX10ft) black starlit backdrop can be used as a backdrop for your Top Table, for your First Dance and evening disco, as a background for your band or DJ or just to hide a part of the venue you arent keen on. I’ve even used it as both a backdrop to the Top Table in front of a large window, at the same time keeping passers by from ogling the proceedings!! I have 2 of these available so if you need a larger area covered that isnt a problem either. And whilst on the subject, my smaller 3mx2m (10ftx6’6″) matching starcloth is a perfect backdrop for your wedding cake. I can even arrange a couple of cool running LED pinspots to pick out highlights on your cake. I can also supply via a quality sub-contractor white or ivory wedding backdrop starcloths along with matching Top Table skirts and Cake Table skirts. Prices are very competetive although these are the highest quality cloths so they will not be the cheapest around. My reputation allows me to develop relationships and contacts with other highly professional suppliers within the wedding sector. This includes dancefloors which are available in several different ‘flavours’ and sizes. The 2 most popular sizes are 16ft x 12ft and 20ft x 16ft. 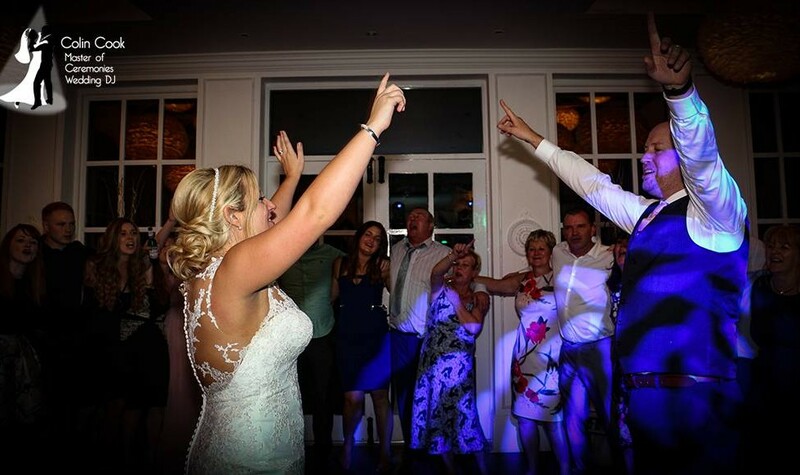 For parties of 120 or more I tend to recommend the larger size, simply because it looks so impressive and because I want everyone to be able to fit on it whilst boogie-ing away at your Wedding! Be aware though – all dance floors are not equal! A lot of suppliers are providing the cheaper type floors which pretty much everyone can get hold of. They are basic but ok when new, the problem is that the connection system is of poor quality and quite often panels will fail – either go off completely or randomly flash/strobe out of sync with the rest of the floor. This is made worse by the cheaper controllers which cannot detect and reset this. The floors I recommend are of a much higher quality. These take very slightly longer to lay as each panel has proper connectors which are cabled to the next panel. This drastically reduces the chances of a panel becoming disconnected. The high quality controller constantly pulses the control signal to every panel meaning that if a panel lags behind it then picks up the signal again on the next pulse and catches up. Clever huh? Other issues with some dance floor suppliers include reliability, timings, professionalism and maintenance of their floors. The guys I use are extremely reliable and flexible and (partly due to the floor being massively more expensive than the cheap ones) take really good care of the floors. They are cleaned after being laid, are then cleaned again prior to being lifted and then professionally polished on arrival back at the warehouse. 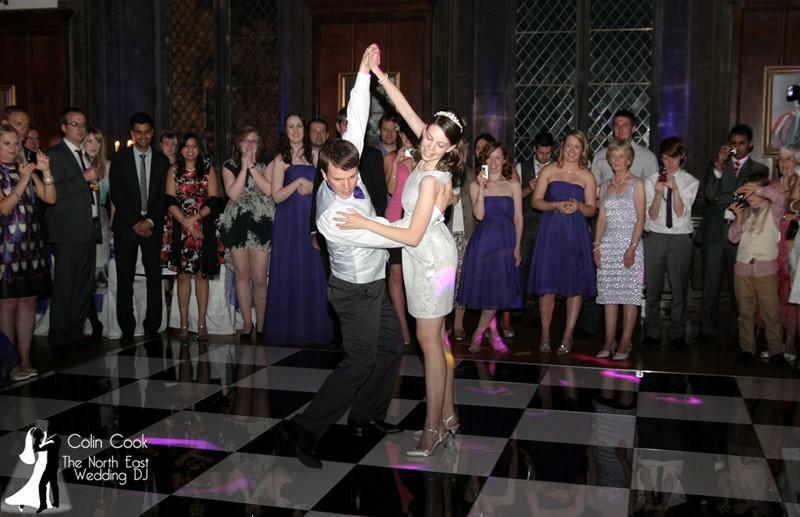 Black and White – The classic Black and White Dance Floor always looks incredible. It suits most colour themes, is elegant and sophisticated and is always a classy favourite. Be careful of the cheapo ‘soft’ floors which are little more than vinyl tiles. The one we use is a quality wood and acrylic floor. Starlit Floors – for the ultimate in sophistication go for a starlit dance floor in either all white, all black or black and white stripes. These dancefloors have a great feel to them and the built in LEDs provide an incredible sparkle. They can be set to numerous patterns from a static to a fast twinkle, as well as being faded in and out. In other words we can match the brightness of the floor to the room, and the ‘action’ to suit your taste. The white starlit dance floor also benefits additionally if moodlighting is installed as in most rooms it will pick up the colours in the room, as well as reflecting the lights of the disco. Truly scrumptious! These floors are supplied by a professional company who will deliver, install and collect the floor. You simply place your order with me, I arrange it and it all happens as and when it should!! Table Pinspotting: Probably the ultimate ‘finish’ to a room. This effect is subtle but amazing, especially when used with Moodlighting. As used at the Oscars and similar Award Ceremonies. Pinspotting consists of small ‘pinspot’ lights mounted high up and aimed at the centre of your tables. The lighting not only picks out your table centrepieces but allows the room lights to be dimmed or extinguished completely. A dark room but one in which you can see everything you need to! Light at the table for eating, talking and admiring. Gorgeous uplighting around the room to provide drama and atmosphere. The rest of the room need not be lit at all as the ambient light from everything else will create enough light. Elegant and sophisticated. 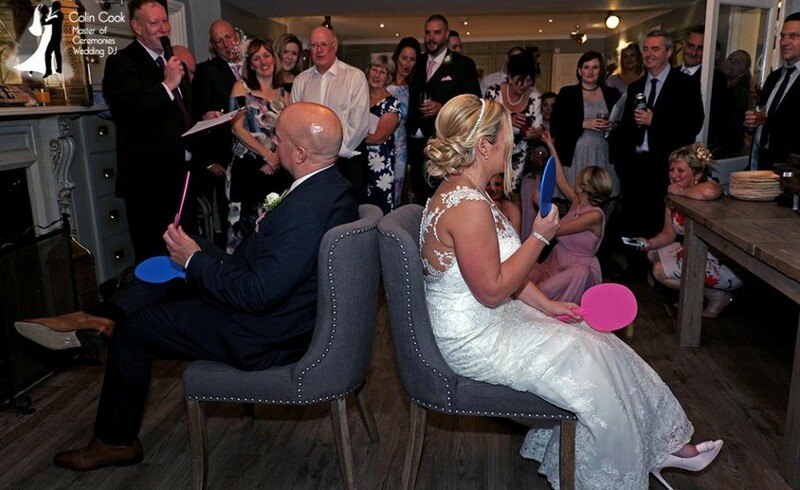 Table pinspotting is the ultimate luxury for completing that atmospheric, sophisticated look for your Wedding. There are a couple of things to bear in mind when considering this service. Firstly the lights themselves need to be sited which generally means stands and possibly truss. As you can see in the photograph I spend time making these as unobtrusive as possible but they will be there and sufficient space to install these safely is required. Secondly the lights are set up to point at the centre of each table. If your layout means that the tables will be moved then the lights will no longer be pointing at the tables! It sounds obvious but is something many clients dont consider. It may be that it will be possible to re-aim the lights for a small cost or it may not be practical to do so – it all depends on your layout and timings. The best thing to do is to talk to me and we can work out whether this is the best option for you.